Valentyna Klymiuk, a young scholar from Ukraine, received her Ph.D. degree from the University of Haifa in March 2019. 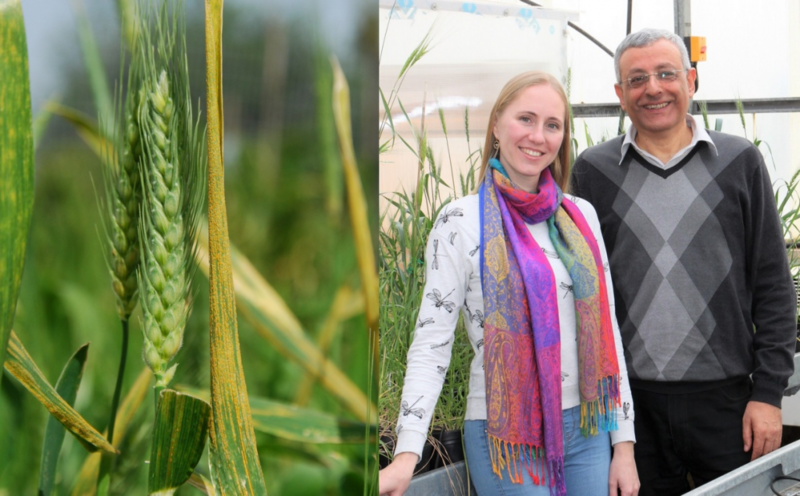 Her research is at the junction of biology and genetics, touching on methods of combating a disease of wheat known as “brown rust.” This research has tremendous potential for increasing wheat yields worldwide and reducing hunger in developing countries. Klymiuk’s achievements provoked great interest in the United States. 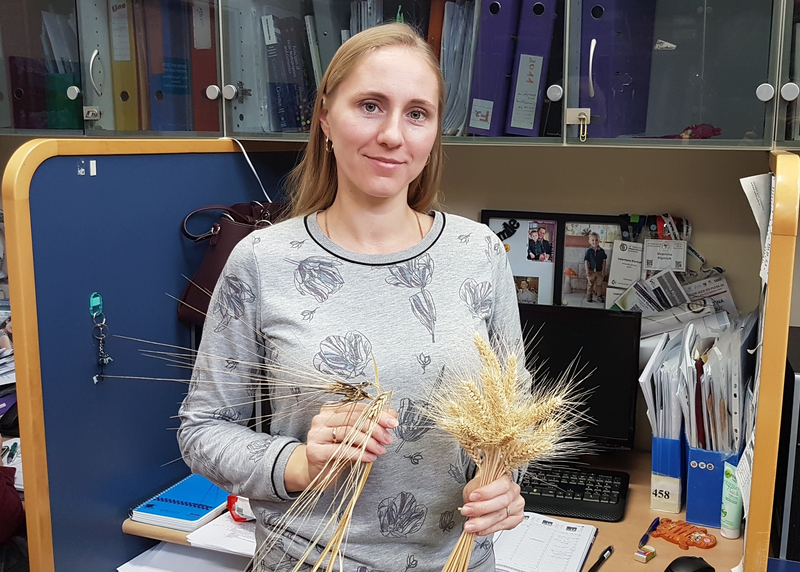 The Borlaug Global Rust Initiative, based at Cornell University in New York, announced the young Ukrainian researcher will receive a Jeanie Borlaug Laube Women in Triticum Early Career Award, which provides professional development opportunities for women working in wheat during the early stages of their career. Only 25 women from all over the world have received the award since its founding in 2010. The Borlaug Global Rust Initiative was created in honor of the prominent U.S. scientist Norman Borlaug (1914-2009), a Nobel Peace Prize winner (1970), who devoted his life to improving wheat and solving hunger in developing countries. 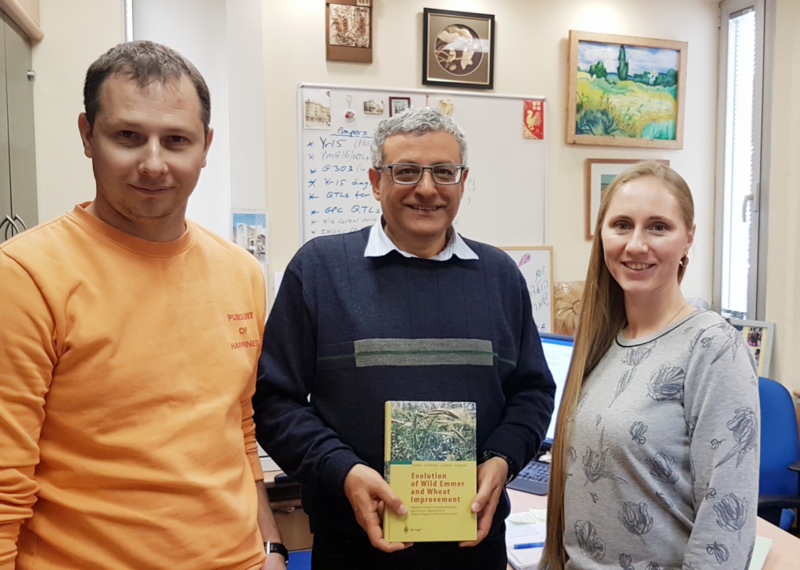 Professor Tzion Fahima, the director of the Institute of Evolution and head of the Plant Genomics and Disease Laboratory at the University of Haifa, supervised Klymiuk. Andrii Fatiukha, Valentyna’s husband, is now completing his doctoral dissertation under the leadership of this famous Israeli scientist. The couple graduated from the Donetsk National University named after Vasyl Stus. While studying at the Faculty of Biology, Klymiuk published a number of articles in international scientific journals, including those with the researcher Sophia Barinova of the University of Haifa. This is how the connection between biologists from Donetsk and Haifa was established. The young scholars were forced to suspend their postgraduate studies and leave Donetsk after pro-Russian separatists occupied the city in 2014. “Our house, which we built with our own hands, has since been plundered by marauders five or six times. We cannot sell it. Only neighbors sometimes come to check what is left of our house in Donetsk,” said Klymiuk. The University of Haifa has assisted the scholars—in fact, refugees from Ukraine. They were admitted to the doctoral studies program, received a study visa, and scholarships. “Professor Tzion Fahima has provided us with tremendous help in everything. Without him, we would not have achieved anything here and could not have spent these wonderful four years in Israel,” said Klymiuk. From left to right: Andrii Fatiukha, Professor Tzion Fahima, and Valentyna Klymiuk. Interestingly, current research on wheat improvement is based on the discovery made over a hundred years ago by Aaron Aaronsohn (1876-1919), a grandson of the Berdychiv Rabbi, an agronomist, botanist, and activist of the Zionist revival of the Land of Israel. In 1906, in Upper Galilee, he discovered an unknown grass (wild emmer), which was called “the mother of all wheat,” a long sought-after direct ancestor of cultivated wheat. It was a wild ancestor of an ancient wheat variety which has long been grown in the Middle East. Aaronsohn founded in 1912 an experimental agricultural station in Atlit near Haifa, which still exists. Klymiuk performed experiments at this station a hundred years later. The key point of the research was the development of a method for the transfer of a “healthy gene” from wild wheat into cultivars. This gene is responsible for the health of wheat in the fight against the “brown rust” disease. Klymiuk and Fatiukha now dream of continuing their research, perhaps in post-doctorate positions at one of the leading research centers in the United States or European Union. “Israel has given us a lot. It was a very good platform. We are very grateful to Israel, but we must move on,” said Klymiuk. They came to Israel with their small son; a daughter was born in Haifa. The son attends a local kindergarten and speaks freely in Hebrew. The results of their research in Israel have been patented by the University of Haifa and are of great commercial and agrarian significance. Valentyna Klymiuk (left) and Professor Tzion Fahima (right). Text and photos: Shimon Briman (Israel).